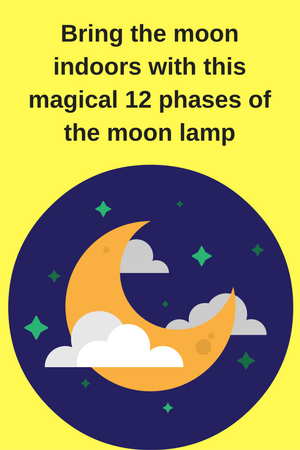 Put this lamp on your childs wall and let them be enchanted with the 12 phases of the moon. They will learn the new moon though the full moon and all the stages in between. Comes with a remote that allows you to turn the moon “on and off” as well a click through each phase or allow the slow progression as the moon travels through each phrase. Comes with a audio tour that you and your child can listen to tha t explains the moon and its many fascinating features.